Rubbing to edges and corners bumped. Spine and covers creased. Ex library. As we rode home, I thought of how Clown had cowered in fear when Ted Dunne had finally managed to catch him. 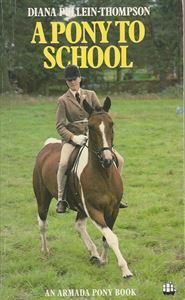 I wondered if Christina and I would ever turn him into a well-schooled pony. Then suddenly I weas determined to succeed at all costs, not because he was beautiful, but because I never wanted him to look so miserable and frightened again.